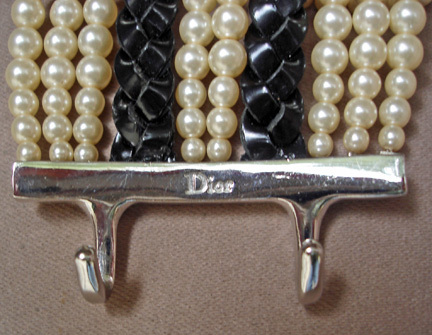 Circa 2000 Massai style necklace by John Galliano for the House of Dior. Shown modeled for the perfume campaign "I Love Dior". 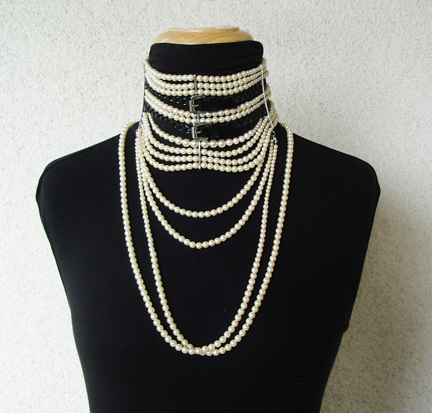 Not many were produced Ten strand choker of simulated pearls and braided black patent strands. 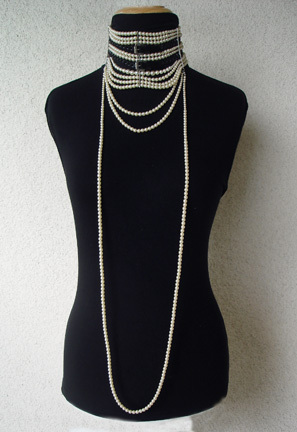 Also features 3 cascading pearl strands from neckline the longest being 24".